Thank you for having the courage to stand up for the truth and to show some of the hypocrisy that goes on! I am in agreement with your assertions concerning the seemingly overt business/political actions taken by the Church leadership with respect to a number of key areas. In a show of my excessive cynicism, though, I’ll go further to debate your claim that the organization would be better suited to manage the profits for charitable use. You criticize the overhead and administrative take that the Red Cross takes from proceeds, but where can we find an accounting of the Church’s funding? What is the amount our leaders are receiving as a “modest living stipend” and how is this reconcilable with scriptural mandates that they are to preach abroad without purse or scrip? Why are there disclaimers on donations slips that essentially state the organization will use your money for whatever use it deems necessary regardless of how you designate it? I’m not familiar with the charitable division of the LDS Church, which would have IRS mandates to release certain information if organized as 501(c)(3), but the questions I pose above alone give me pause as to the efficacious use the leaders would put the proceeds to. With the undoubtedly staggering amount of incoming funds, why are our buildings so lavish when there are members abroad starving? Should charities like the Liahona’s Children Foundation have to exist? I’ll cease ranting now. I thank you for your message that shows that these concerns are certainly not held solely by estranged members who might be accused of hiding undisclosed contentious experiences. Many ‘rank-and-file’ members are taking notice and asking questions. Thank you Lynn. And thanks for your feedback! I could not agree more. The church simply needs to open its books! Perhaps if enough people keep demanding it, they will cave as they have on every other issue. Thanks for your excellent comment. I should also add that Ian’s implication about excessive “modest living stipends” needs to be exposed. I plan a blog post on that topic in the coming weeks. Thanks again Ian. And btw, I’m sorry you feel estranged. Remember that the path back to God is almost always a lonely one, until we meet Him along the way. if Nyle Smith were still alive he could have brought this in for about a million dollars or less. Just saying, from the brief time I worked in the industry. I don’t know, let them choose and love them no matter the choice they make. That’s being Christian. Christ never EVER forces himself on others (the walk on the road to Emmaus is a great example of that.) Maybe we should stop forcing ourselves on others, and stop assuming that we are failures if we can’t turn the opinion of others. If that’s what we think the gospel is about, then we don’t understand the gospel at all. “Do what is right, LET the consequence follow,” not force a consequence. If we are trying to force an outcome, then we probably aren’t doing what is right. Great thoughts West! And timely too for me. The message of the gospel cannot unrighteously compel. I’ve been guilty of this in my life, by loving God’s children conditionally at times or by my self-righteous preaching. All the while believing myself to be right when in fact many times I was not. Or the message “du jour” from the Brethren was not right, yet I stood by faithful to defend them. Now I just want the Lord to be right and I just want His mercy and forgiveness for me and as many as will accept it. Thanks again West! Great blog. Just found it. I can’t agree more with everything you said here. I had the same thoughts, and I’m glad you wrote it up before I had a chance to. 1) Why are we advertising what we are doing with the profits? Oh yeah, because everyone knows we are non-transparent at best and fraudulent at worst. 2) From how this is being pushed, you and I both know that 99% of the people that pay to see this will be members trying to get their friends to come and see it. In fact, in our branch PEC we were told to get groups together and do this ourselves, and pester the local movie houses for a special showing. Why the heck isn’t the church renting theaters to screen it in?? 3) Seriously, the red cross? You know we have over 100k active LDS kids who are malnourished, right? Thanks Melissa. I am an unabashed Denver Snuffer supporter. I have read all his books and attended most lectures. I believe his message. Great blog! Grateful for your courage and valiancy in the testimony of Jesus Christ. Yet, here we are, fresh on the heels of the new temple film disasters, with the church churning out another slick movie entitled “Meet the Mormons”. Of course, this follows the legacy of the “I’m a Mormon” campaign, which has all but disappeared. And who can forget that mind-boggling masterpiece “mormonsandgays.org” that you so eloquently fillet in another post? Where’s “mormonsandtaxcheats.org” or “mormonsandpornoaddicts.org” or “mormonsandbeerswillers.org”? Why a special website dedicated to that particular sin? There’s also mormons.org, mormonnewsroom.org, Mormon Messages, etc., etc. I have no problem with the term Mormon, but I consider myself a disciple of Jesus Christ first and foremost. I don’t think we should ever use the term “Mormon Church” as it should be called The Church of Jesus Christ, as dictated by the Lord Himself in revelation. I love early Mormonism and seek to understand it better, peeling away the layers of crust and grime that have accumulated after decades of subtle apostasy. But, the church leaders seem to walk a crooked path…telling us in general conference to do one thing, yet they do that thing they tell us not to do…what to believe? You make a great case, but without proof, you’re just another hack making exaggerated claims which is becoming all the rage these days in your cult. I’m so glad you’re not my Bishop. I feel the whole thing is a poorly done cover up of a documentary the bbc released last summer by the same name “meet the Mormons”. Not sure why suddenly after it’s released they announce their own movie of the same name set to release the same year. Watching the bbc one, it stayed true to just providing a glimpse into the life of a missionary. They even had a media representative that was there any time they were filming. Maybe they didn’t want an outsiders film to come up in search results before their own? What a snivelling little a-hole coward. Why anonymous?? 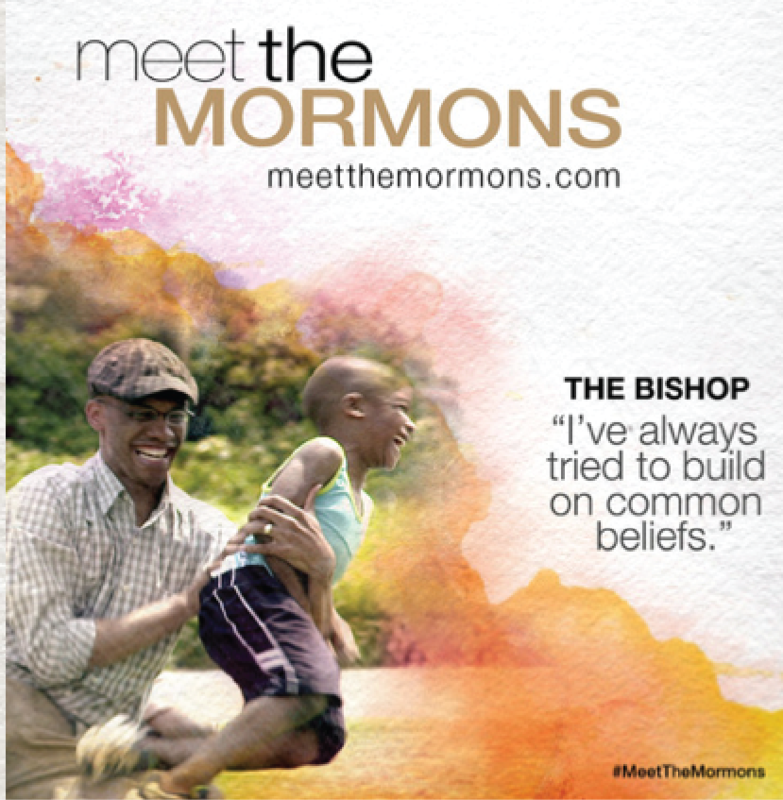 I remember the talk “Mormon means more good.” Brand chaos. “MIA” “Mutual” “Homecomings” “Stake Houses and Stake Centers” “Books v Book of Mormon(s)” “Farewells” “PPI v PSI” – “Ward teachers v Home teachers” “Home making v whatever the heck the new name is.” Always a new vocabulary hobby revealed as cutting edge or inspired. Missionaries in my mission were chastised for saying D&C. The general authority, for whom we were sitting on the edge of our seats, awaiting a much needed inspired message, began by asking the mission president’s wife to please tell us young and naive 19-21 year olds what a DNC was. I get that no one is perfect, so why not stop pretending the brethren are? Another bishop during stake bishopric training one time announced for his spiritual thought, as he held up the church handbook, “These are the mysteries of God!” He invited us to read it as we would the scriptures. And yet, the policies and rules and protocols change as quickly as they are published. How can one keep up? Thanks for your great thoughts Jacob! John, I assume you are referring to me. You can read a little more about why for now I choose anonymity. Your use of the term “a-hole” is timely (See response to Missy here). I have similar sympathies with the views of those on this discussion board and with the author of this blog. I do not, however, think this is a negative project nor does it detract from the church’s core mission. If it increases faith in the Savior, and leads others to investigate the church it will be a great tool for the Church. Because its intended audience is non-Mormon, it also makes sense that they would choose the Red Cross as a generally accepted charity to use to help non-members understand that there is not a profit-motive in the production and commercialization of the Church’s message. I think this will be a good thing. I hope it is effective. I’ve had a few people suggest my numbers are high on the 20M I think this movie may have cost. I welcome other estimates. Unfortunately the church does not disclose any of its financials and so we may never know, unless someone leaks it. I did work on a church film in a 90’s and a few of my friends have directed and or acted for the church. In 1990, my director friend told me that the new temple film (with all the changes) cost $100,000 per day, which at the time (24 years ago) was standard for the industry for this type of film. I assume Meet the Mormons took many days to film and that prices have gone up considerably since then. But, even using this standard, if MTM required 100 days to shoot, we’re at 10M. If anyone has a better feel for this, please chime in. I’m a little bit with Roger, a little bit. I do think the open focus on marketing and image is…. Telling. Image control is kind of a big deal in Utah Culture. I would not personally want that fruit fed to the whole world some more. It’s probably a mostly good-ish thing. It doesn’t portray much confidence in me of what the church is ‘supposed’ to be, it raises some flags. I think people will feel that. No problem. I’m still in the process of learning this too. While I love the opinions of others on matters regarding actions of the Church, I desperately need the Lord. I express my opinions in open forums from time to time and unfortunately I’m not always compassionate about it. Sometimes they get contentious. Your repost on Mormons and Gays was good. (To be honest, both were good.) In the end, we need to love, politely agree to disagree, and find common ground. Contention over disagreements drives wedges into everyone’s hearts, making unity impossible. Well said West. Thank you! I was able to see the movie yesterday and found it very moving, encouraging and inspiring. From what I heard, the title comes from a 1970’s missionary film strip by the same name but this is the 2014 version of it (filming was done two years ago according to the families featured in it). I kind of wish it had a different name but can’t come up with anything better. I love that test audiences requested the church to go bigger and wider than it originally intended. It was supposed to be the film played at Legacy Theater on temple square as part of the missionary effort at church HQ until audiences said that they were looking for encouraging and positive stories. I like to think that this movie is like the March of the Penguins. People are fascinated by rare, exotic creatures and are awe-inspiring, so why not make a moving theatrical production about them? Thanks for your feedback Jenne. I will watch it in two weeks and will try to be very objective. I plan a follow up post. I’m sure it’s well done. The church has become very good at such productions. The Testaments and the Joseph Smith movies are very “moving.” I actually enjoy those films. I love to “feel good” when I watch movies. I think emotion is a great thing. But, I am concerned that we often assume anytime we feel anything, it’s the Spirit. Here are a couple of thoughts on that worth reading. I got that same message from a Seventy while on my mission 25 years ago. “Don’t refer to the Doctrine and Covenants as ‘D&C’ because a woman may think that you’re referring to a medical procedure during which her uterine wall was being scraped”. Now that you’ve brought it out, I really don’t know who would think this was something to waste time on in a non-English speaking country. Sure, all the missionaries were American, but this was hardly a misunderstanding that would involve any local members. Today my mind was blown when i learned that the main stated reason in scripture that sodom and gomorrah was destroyed was because of how they treated the poor among them. And so then i think with this real movie and city creek and that freaking hunting preserve for rich guys off utah lake, we are worse. We are worse than sodom and gomorrah as a church and we had better freaking repent! Gah, my blood pressure! But seriousy we have some problems here. Well stated Rebecca. And btw, I think the fact that you feel this way merely shows that your conscience is still very much alive. A good sign I think. D&C 104:18 Therefore, if any man shall take of the abundance which I have made, and impart not his portion, according to the law of my gospel, unto the poor and the needy, he shall, with the wicked, lift up his eyes in hell, being in torment. 64 And the avails of the sacred things shall be had in the treasury, and a seal shall be upon it; and it shall not be used or taken out of the treasury by any one, neither shall the seal be loosed which shall be placed upon it, only by the voice of the order, or by commandment. 70 And let not any among you say that it is his own; for it shall not be called his, nor any part of it. Oh I’m sorry, this is for the law of consecration. Oh, my bad! I guess it’s OK! Just got an email from my bank deseret first that i can get free tickets through them. I gyess they want a huge turnout. All who oppose this movie and the money going to Red Cross need to band together, get word out about it, and write a nice but firm letter to the church about why this movie is wrong, and giving money to the Red Cross is worse. The Red Cross has huge overhead with very little money going to those in need. The Red Cross charges for coffee and water for cripes sake! It is a shady organization! I agree with most everything in your post, but I have to disagree with your opposition to donating funds to the Red Cross. I will agree that 600+k is an excessive salary for an NGO executive. However, the American Red Cross is a reputable charitable organization and is a member of a critically important humanitarian movement: the International Federation of Red Cross and Red Crescent Societies (“IFRC”). See http://www.ifrc.org/en/who-we-are/. Unfortunately, the IFRC and the International Committee of the Red Cross (“ICRC”) have a very complicated history and role in our society, and I don’t have the space to describe it here. See https://www.icrc.org/. But, to explain them in a sentence, these are the organizations that create, regulate, and promote international humanitarian law (the laws of war that protect soldiers, the wounded/sick, and civilians) and attempt to relieve suffering during serious natural and man-made disasters. I encourage everyone to read about the ICRC and IFRC: it’s a fascinating and inspiring movement. I can’t think of a better charitable organization to volunteer with or donate to. They do it far better than the Church does, and they can get into far worse situations than the Church can now reach. In short, while the American Red Cross has its flaws, it also does a lot of good. The Tongan guy in the movie is not a Notre Dame coach; he’s the Head Coach at the Naval Academy. Navy and Notre Dame occasionally have the same helmets and color scheme-except when Navy is wearing it’s way cool Midshipmen unis, so I can see the confusion. A lot of BYU Mormons like to think BYU is in the same league as Notre Dame-academically and athletically-and perhaps you are part of that group of dreamers. If so, I can see mistaking the Navy coach for a ND coach. Rest assured he coaches Navy and even coached Navy in upsets of Notre Dame in the last couple of years. I enjoyed reading your comments. The movie isn’t playing in my area but I do like the Navy football program so despite my similar misgivings about the movie and its marketing if it pops up here locally, I will see it. Nice blog, by the way. Best of luck on your faith journey. Too bad for you, I TOTALLY wish this guy WAS my Bishop. Thanks for the clarification rbc! I will correct it when I get a chance! And thanks for your words of encouragement. I will see the movie this weekend. It should be interesting! Thank you Paige! You’re very kind! Thanks for not forcing me to login to Google or Facebook just to leave a comment. I really appreciate it. You have done an excellent job on exposing how insane things have become in the church office building. What keeps me going is the knowledge that the LDS church will one day be cleansed by the resurrected Joseph Smith. This event, along with many others, has been prophesied by Bishop John Koyle, who was given charge of the ancient Nephite gold mine located in Salem, UT. (more info at ReliefMine.com) So hold onto your hats, we’re in for an exciting ride! As someone who works in that industry, I can verify 20M is a very fair estimate, likely even conservative. For one, the movie has a very high “production value,” meaning it looks super slick. That costs more money than most realize. It takes expensive equipment, expensive production crews who know how to work with it to capture the best footage, and expensive post – production crews who know how to maximize the quality of what was captured. Even if the 6 subjects weren’t paid (I don’t know but I bet they were), the production costs are undoubtedly high. Secondly, while one could hope and dream that LDS filmmakers would contribute their talents and services free of charge or very inexpensive, as a service to the church, in reality there is plenty of evidence that the church not only pays for all business services through members but they in fact pay top dollar for it, above competitive rates, because its seen as helping their own. There are indeed a whole world of factors that affect the cost of a film, but if we’re just making a ballpark estimate then 20M is certainly fair, if not conservative. Mike, thanks for your much more expert analysis of the potential costs. Hopefully that information will be disclosed since this is a commercial endeavor using tithing funds, albeit indirectly. I agree that there are questions about the movie. However, I saw somewhere that the PG rating is because of “implied proselytization.” I do not think the Church tried to adjust the rating to make it more marketable. That’s a very interesting thought. It sounds like even the rating committee believes the church is proselytizing :-). Thanks AM. The answer to your questions of so-called hierarchy is simple and it goes back to a group called……..GADIANTON. They are famous for robbing and deceiving and blaspheming for power and gain. It’s not a new enemy by infiltration, but an old and predictive one that uses coercion, spiritually, emotionally and mentally to manipulate populations, especially people who have such truth as that of The Book of Mormon. I dont know who in particular are the Gadiantons today, but they are usually lawyers and judges and comparable with pharisees. This is very close to exactly what I thought as I saw the “prompting” from Brother Holland to see this for-profit charity flick. I havent seen it but I might if I could sneak into the theatre;-) The American Red Cross is one of the most corrupt organizations in Babylon and have been guilty of horrendous deceit and have been promoted constantly by the criminals in Washington D.C. who have torn up the divine constitution. BUT of course the fact that you are anonymous begs the question, how would one know that you, “ANONYMOUSBISHOP” are not co-intelpro? (Controlled opposition) You speak of things that so many free-thinking members are pondering on and yet this is exactly what the Gadiantons do. They hijack the dissent and the leadership, always attempting to control both sides and you will be suspect until you reveal your identity, but I imagine the truth is not worth it in this case. I am not accusing you but I am not going to just rubber stamp you either as being legitimate by the fact that you are anonymous and this is how counter-intelligence operates in a seemingly genuine manner. I would hope you are genuine, and if so, thank you sir. I understand the anonymity but the very fact that you would have to be anonymous in an organization that’s core teaching of the Book of Mormon declares the right to freedom of conscience to be part of God’s Law. Each man shall be allowed to speak of and think about anything they wish, it is why Joseph was able to receive the plates in the latter-day’s, because of the Freedom of Conscience protected by the Constitution which is for ALL MEN. THE TRUTH SHALL SET YOU FREE. We must pray for the leaders and Church as a whole because of course, as it states in D&C 84:50-60, we as a Church are under condemnation and I do not remember any “Prophet” or “Seer” lift that condemnation. OH well put brotha!! WELL PUT. I see these lavish buildings, while I know of starving members in other countries who would just need a warm place to sleep and a warm shower. I would suggest taking a look at what Gadiantons do in the Secret Combination and how and where they infiltrate. Right on. I had the very same feeling when I saw the title of the movie. The Lord is very clear on what the name of the Church of Jesus Christ is. I think Church of the Lamb of God, Church of Christ would also work, But Mormon Church is somewhat heretical. Isaiah 28 and 29 talk of the drunkards of Ephraim, but not drunk on wine but blinded, deceived. I am grafted into the house of Ephraim so this does indite myself as well but I am also a gentile. The Book of Mormon discusses the Gentiles (us) teaching the “Remnant” the gospel and they will lead us out of Babylon. The Remnant include many tribes but specifically, this is the Native Americans. Anyway, just saying that there is hope and of course I pray that I can be lead by the Holy Spirit to do His will. Thanks for your thoughts Andrew. I take no offense whatsoever and don’t blame anyone for questioning my intentions. I think you hit it on the head – the mere fact that I feel the need to be anonymous shows the sad state of where we are as a church. There is a “purging” taking place and everyone for now who feels all is not well, must take care to do and say things as they feel prompted in their own situation. For one, he may want to stay in the church to try to help from within. Another may wish to disassociate because he feels his association erodes his own faith and integrity. One thing is clear – if you open your mouth long enough and have anything negative to say about the decisions of the brethren, you will be excommunicated. Thank you thank you thank you. One day, way way back, I started taking note of the way the church spends its gazillions and a quiet unrest began to stir in my burgeoning socialist twenty something soul. These days the questionable spending is far more obvious, and thanks to the Internet the details about it are now more accessible to those who live far away from the centre of it all. Thank you for writing this post and showing me that there are those who remain in the church who still have the courage to challenge it’s self serving efforts and painfully obvious lack of charity that is in no way commensurate with it’s massive wealth. andrew, i echo Bishop Anon’s existing response about your very fair concerns for questioning anonymity. i also want to add my personal thought on why i like anonymity. if we were all anonymous – and just using these forums to explore thoughts – i think we’d find less ego tied to ideas. i think we’d be less entrenched. i love the idea of each of us serving in some way as a conscience for each other. as a challenge to each other. and as support to each other. with no pride of ownership to our ideas. giving up being right to find what is right. please know that i am not saying that this idea is perfect. in contrast, i also love the declaration of faith that comes with “signing your name” to your beliefs. i am so grateful to the courage of all those that have stood up publicly. who have laid the way for others to have that courage. and i am grateful to you for “signing your name” to your testimony; as i am to all others who have done similar. genuinely. it’s nothing more than a thought that i’m incubating personally. thanks again for your comments.